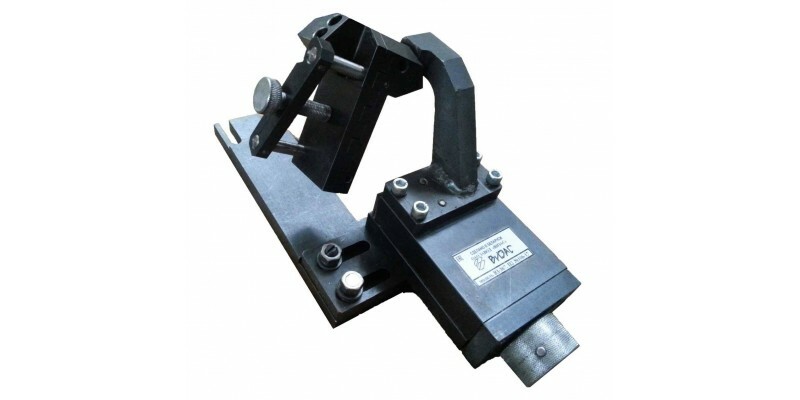 The device is intended for cylindrical sharpening of right-hand spiral drills with a cylindrical shank, as well as drills with a conical shank with a length of a cylindrical part of not less than 110 mm on the machines of the mod. 10MA411, VZ-367, VZ-879-02. The device is fixed to the base of the machine. VZ-367 or mod. 10MA411, mod. VZ-879-02. (Instead of the right hand pod, the fixing bolts of the pod are fixed to the base of the machines). To the plate 1, with a possibility of linear movement along the grooves, a plate 2 is fixed, rigidly connected to the guide 3, through which, by means of the screw 4 from the button 5, the carriage 6 is movable. 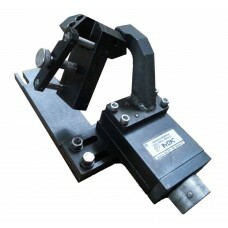 On the carriage there is mounted a bracket 7 carrying the axis 8, which can be mounted on one from the two apertures, a prism 9 rigidly lubricated through two rollers 10 with a film 11. 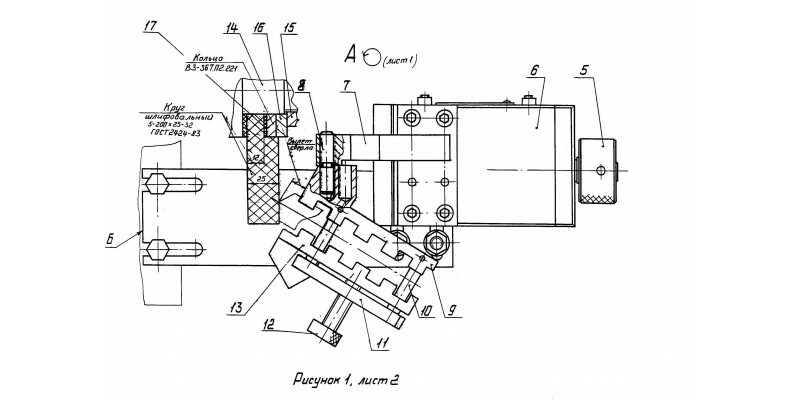 A prism 13 can be moved along the rollers 10 through a screw 12, which also has two holes for mounting on the axis 8. 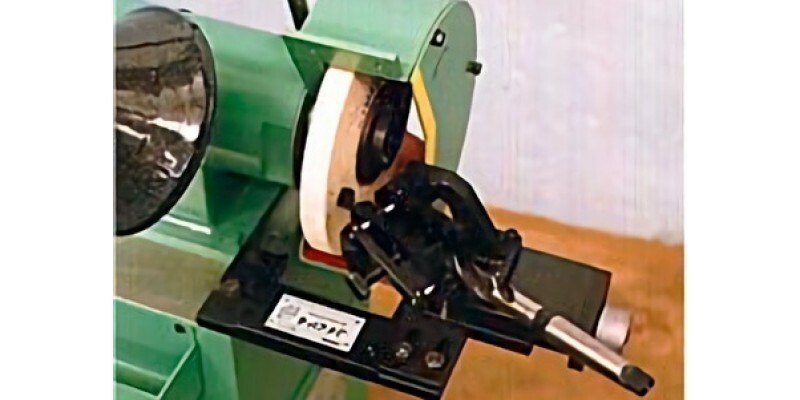 Angle in terms of sharpened drill, deg. Range of rear corners, deg.